Home Evans Genera HD Drum Head 12"
Evans Genera HD Drum Head 12"
Evans Genera HD Snare heads feature two plies of film. An outer ply of 5mil film and an inner ply of 7.5mil film, in combination with a 2mil overtone control ring on the underside that "floats" with the head, eliminating excessive overtones and controlling sustain. 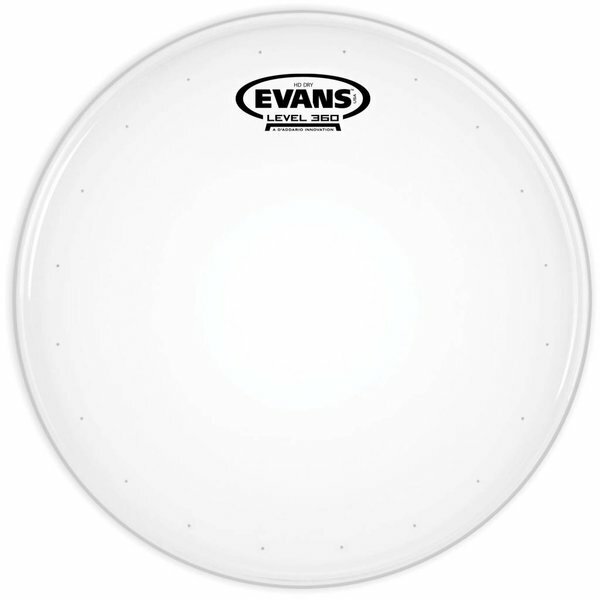 Evans Level 360 technology is incorporated to extend the level playing surface of the drumhead, 360 degrees around the drum. The vertically enhanced collar design guarantees even contact with the critical bearing edge of the drum shell, resulting in: ease of tuning, extended pitch range and optimum quality of sound. Evans Level 360 technology resolves the age-old dilemma of traditional synthetic heads consistently not fitting the drum shell without using considerable force.